An aggressive marketing campaign can rocket your self-published book into best-sellerdom. But if your marketing campaign is too aggressive, your sales will crash and burn instead. Here’s how to know if your promotional efforts are dynamic or dead wrong. Never expect that other people owe you a book purchase, especially if you’re not supporting the self-published community in return. While there’s no rule that you must buy a book to sell a book, it’s certainly a good personal policy to show support for writers in general and self-published writers in particular. If you want to make money on your books, support the publishing industry and encourage others to do the same. Never saturate your social networking profiles with ads to buy your books. Your fans may love your writing, but they can only take so many sales pitches. Instead, share your writing inspirations, fun quotes and images for readers, and links to websites that you love. Then you can intersperse your daily posts with the occasional sales pitch. Never be unresponsive. Whether you’re answering emails, responding to questions at an event, or replying to comments on Facebook, be sure to answer in a timely and friendly manner. If you wait three weeks to reply, your reader—and potential buyer—will have already moved on. So be attentive and answer promptly. Never use quotes from family or friends to promote your book. This just screams “amateur”—unless, of course, your godfather is Stephen King and he absolutely loved your book (we can all dream, can’t we?). Instead, use professional book endorsements, either from book reviewers or from book bloggers. Never bad-mouth anyone in public. While you might be unhappy with a particular company, person, or experience, it’s best to keep your thoughts to yourself (unless there is a constructive reason to share). 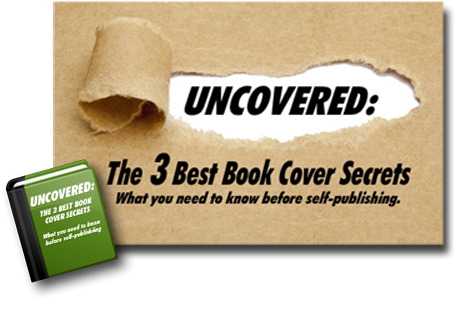 Focus on the positive aspects of your self-publishing experience. Here’s why being a nice writer pays. Never post comments on other people’s blog posts stating, “Here’s where you can buy my book!” Doing so is rude and unappreciated by the blogger you’re trying to leach off of. If you’re commenting, stick to the topic and offer your unique insight or support for the writer. Of course, if mentioning your book is truly germane to the topic, go ahead. But don’t struggle to force connections that aren’t there. Allow the brilliance of your comments and your hyperlinked byline to do your selling for you. Never forget to say thank you. And return favors whenever you can! Never neglect your proofreading. If you have typos, punctuation errors, and spelling mistakes in your book, promotional copy, or social media posts, readers will assume your book is poorly written and not worth their money. Hire fantastic proofreaders. Never piggyback on other writers’ marketing efforts unless you have been invited to. When in doubt, ask! Never add people to your author mailing list unless they have given their consent. And never sign anyone up for an online group either, unless that person has asked to join. Uh Oh—Did You Accidentally Commit One Of The Deadly Sins Of Marketing? We all make mistakes sometimes. If you have violated one of the golden rules of good promotion tactics for self-published writers, you should apologize (if it is particularly grievous), and resolve not to make the same mistake again. Fortunately, the memory span of Internet friends and followers tends to be rather short, so it’s not the end of the world if you commit a faux pas. Brush yourself off, learn from your mistake, and keep marketing your self-published book! QUESTION: Which of the sins on our list do you think writers are most likely to commit? And what other sins have we missed?